Which friend would you value more? Why do we have more favor towards our children rather than our parents? they expect us to do things for them and to take care of them. In the 1950s they changed it where you would need to add eggs / sometimes butter and all of a sudden it was a big success? This only holds true if the builder has something to show for in their endeavor - if they are left with a disappointed crumpled paper then this does not hold true. Example of Adam and Eve - they were in Paradise they had everything it was just given to them, yet they gave it all up because they didn’t value what they had. [26:69] Narrate to them Abraham's history. [26:70] He said to his father and his people, "What is this you are worshiping?" [26:71] They said, "We worship statues; we are totally devoted to them." [26:72] He said, "Can they hear you when you implore? [26:73] "Can they benefit you, or harm you?" [26:74] They said, "No; but we found our parents doing this." [26:75] He said, "Do you see these idols that you worship. [26:76] "You and your ancestors. [26:77] "I am against them, for I am devoted only to the Lord of the universe. [26:78] "The One who created me, and guided me. [26:79] "The One who feeds me and waters me. [26:80] "And when I get sick, He heals me. [26:81] "The One who puts me to death, then brings me back to life. [26:82] "The One who hopefully will forgive my sins on the Day of Judgment. The reason we are unappreciative is because we don’t value what we have not earned. Make a meal ourselves that at best could be considered so-so and we think it is the most delicious meal - and we contemplate opening a restaurant. [41:49] The human being never tires of imploring for good things. And when adversity befalls him, he turns despondent, desperate. [41:50] And when we bless him after suffering some adversity, he says, "This belongs to me. I do not believe that the Hour will ever come to pass. Even if I am returned to my Lord, I will find at Him better things." Most certainly, we will inform the disbelievers of all their works, and will commit them to severe retribution. [41:51] When we bless the human being, he turns away, and drifts farther and farther away, and when he suffers any affliction, he implores loudly. [17:20] For each one of them we provide; we provide those and these from your Lord's bounties. Your Lord's bounties are inexhaustible. [15:21] There is nothing that we do not own infinite amounts thereof. But we send it down in precise measure. The reality is that if God gave us everything we would transgress? [39:9] Is it not better to be one of those who meditate in the night, prostrating and staying up, being aware of the Hereafter, and seeking the mercy of their Lord? [6:41] The fact is: only Him you implore, and He answers your prayer, if He so wills, and you forget your idols. [6:42] We have sent (messengers) to communities before you, and we put them to the test through adversity and hardship, that they may implore. [6:43] If only they implored when our test afflicted them! Instead, their hearts were hardened, and the devil adorned their works in their eyes. [30:33] When adversity afflicts the people, they turn to their Lord, totally devoting themselves to Him. But then, as soon as He showers them with mercy, some of them revert to idol worship. * [30:34] Let them be unappreciative of what we have given them. Enjoy temporarily; you will surely find out. *30:33 A common example is the classified advertisements we note in the newspapers, placed by people thanking St. Jude for healing them. Before undergoing surgery, they sincerely implore God to heal them. But as soon as the surgery succeeds, they thank St. Jude!!! - hearing, eyesight, bodies, families, friends, home, security etc. [34:15] Sheba's homeland used to be a marvel, with two gardens on the right and the left. Eat from your Lord's provisions, and be appreciative of Him—good land, and a forgiving Lord. [34:16] They turned away and, consequently, we poured upon them a disastrous flood, and we substituted their two gardens into two gardens of bad tasting fruits, thorny plants, and a skimpy harvest. [34:17] We thus requited them for their disbelief. Do we not requite only the disbelievers? [34:18] We placed between them and the communities that we blessed other oases, and we secured the journey between them: "Travel therein days and nights in complete security." [34:19] But they (turned unappreciative and) challenged: "Our Lord, we do not care if You increase the distance of our journeys (without any stations)." They thus wronged their own souls. Consequently, we made them history, and scattered them into small communities throughout the land. This should provide lessons for those who are steadfast, appreciative. A mighty flood caused the dam of Marib to burst. This dam was located some 60 miles east of San’aa. The dam was about 5 miles long and 120ft high. The Sabean owed all their prosperity to it. Heavy flood and rain caused the dam to burst and undate the whole area causing widespread ruin. A land full of beautiful gardens, streams and great works of art were turned into vast waste. It was destroyed around the first century AD. The man replies that it is not the cost that is making him cry but the fact that God allowed him to eat for 75 years and never sent him a bill. [22:73] O people, here is a parable that you must ponder carefully: the idols you set up beside GOD can never create a fly, even if they banded together to do so. Furthermore, if the fly steals anything from them, they cannot recover it; weak is the pursuer and the pursued. [22:74] They do not value GOD as He should be valued. 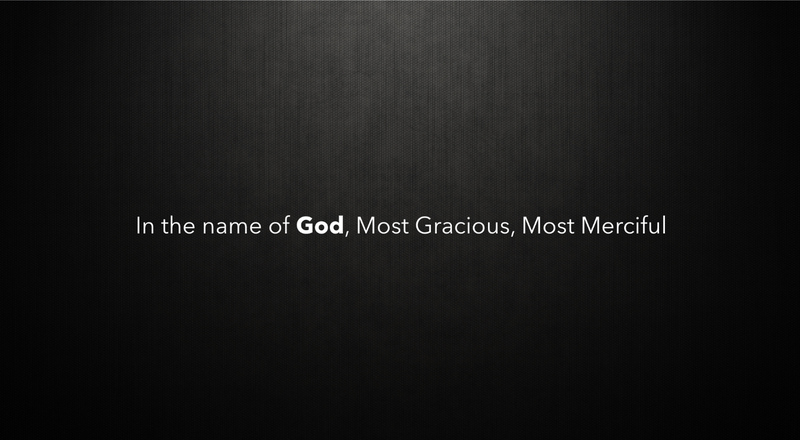 GOD is the Most Powerful, the Almighty. [25:77] Say, "You attain value at my Lord only through your worship. But if you disbelieve, you incur the inevitable consequences."